Jeff: Now that we’ve checked out the good, the bad and the big, it’s time to hit up our usual round of superlatives. We’re using the same categories as last season, so don’t be mad if we end up repeating ourselves! Jeff: Lena Headey had a superb episode in “First of His Name,” and Peter Dinklage may have had his best individual moment of the series (not to mention a few nice scenes with Pascal and Coster-Waldau). Even so, I’m going to be a broken record (and a cheater) and make it a tie between Maisie Williams as Arya and Rory McCann as Sandor “The Hound” Clegane. The latter has added even more shades to what was already one of the more complex characters in the book. The former continues to grow as an actress every season (after already killing it by Season 2). Put them together and it’s the show’s best pairing. Tear them apart and it’s the season’s best, well, see below. Patches: I feel like I talked about all my Superlatives in the first three posts. True to my thoughts in Part 3, I have to give this one to Peter Dinklage. He’s been so good in every scene that it’s easy to take him for granted, but this might have been his best season yet. The climax of “The Laws of Gods and Men” was his best scene of the series and his Beetle soliloquy two episodes later was so good that it transcended its seemingly obvious Emmy-baiting. This season, from start to finish, was a tragic one for Tyrion and Dinklage didn’t disappoint. Jeff: We dedicated an entire part of our season three discussion combing through the show’s “big moments.” We may need more space this year. 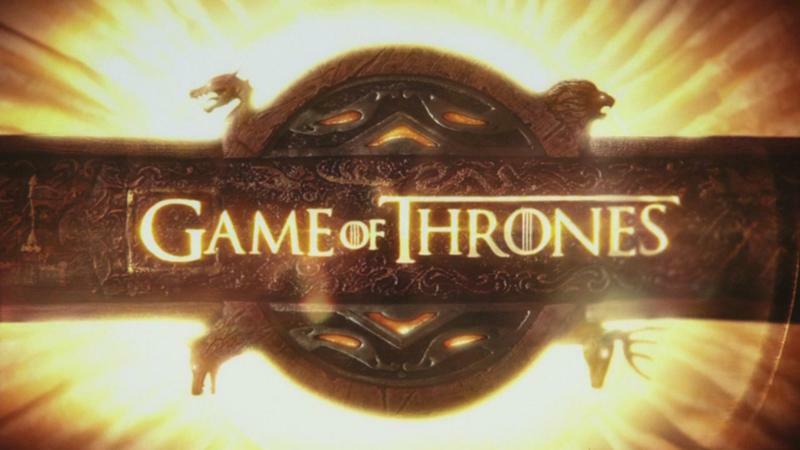 Unlike the first three seasons, where it felt like the show was building toward the expected episode nine climax, season four built to several different climaxes over the final 3-4 episodes in various locations throughout the world of ice and fire. Sure, we still got our episode nine showcase, but unlike seasons past, that may not have been the highlight of the year. I personally loved the way the back half played out, with several big moments, and even a small one or two that felt pretty big. Before diving into climaxes though, we should probably start with the episode two shocker now known as The Purple Wedding. What did you think of Joffrey finally meeting his end, and was the moment robbed of any power by taking place so early in the season? Patches: Haha. Yeah. I think, more than once this season, I was stupid enough to try and predict what episode something would happen. I don’t think I was ever close. I was either early because 2-3 other important things had to happen first or I was late because I randomly expected everything to be the Episode 9 climax. The Purple Wedding might have been my favorite scene of the series. It probably was too. Then the rest of the season happened. This scene was great because of what was happening in the background. Don’t get me wrong, Joffrey KILLED IT, before dying, in this scene, as he has for the last three years. He did everything short of snorting and spit-taking during his regal Little Person Show. Joffrey made that scene good, but everyone else made it great. While Joffrey was yucking it up, director Alex Graves went around the horn, getting reaction shots of any character with dignity, taste, or a semblance of decency. And it was beyond powerful. Patches: Jeff, it’s an honor and a pleasure to be here with you once again for another Dead Season Discussion! Jeff: Indeed! After bombarding everyone with 24 for a year, we’ve let our duties slide a little bit (well, there was that little comedy show). Now we’re back in full “better-late-than-never” mode! Patches: Hahaha. Doesn’t that imply that we usually operate in some other mode most of the time? Jeff: How about “always late, but never better”? Hmmmmm, maybe that implies that we never improve. 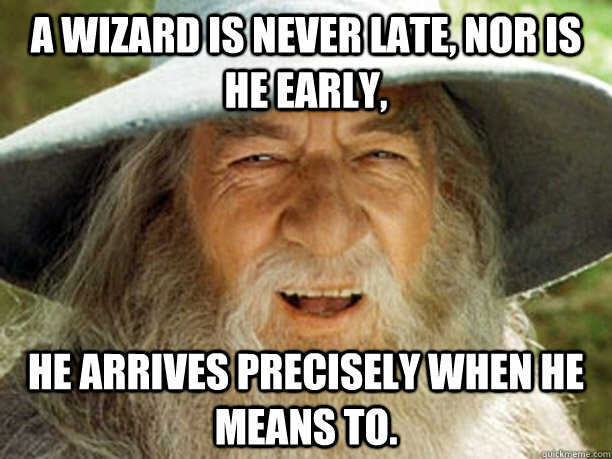 Maybe we should just take it from Gandalf. Patches: I’m down with that. I’ve used “A teacher can’t be tardy” once or twice in my day. All I know is that I’m really glad that we don’t have some sort of a shtick for our reviews. You know, the “Best and Worst” of something or “the Good, the Bad, and the Ugly” of something else. I’ve seen some websites do those things incredibly well, but we would be so screwed for our Game of Thrones write-ups. 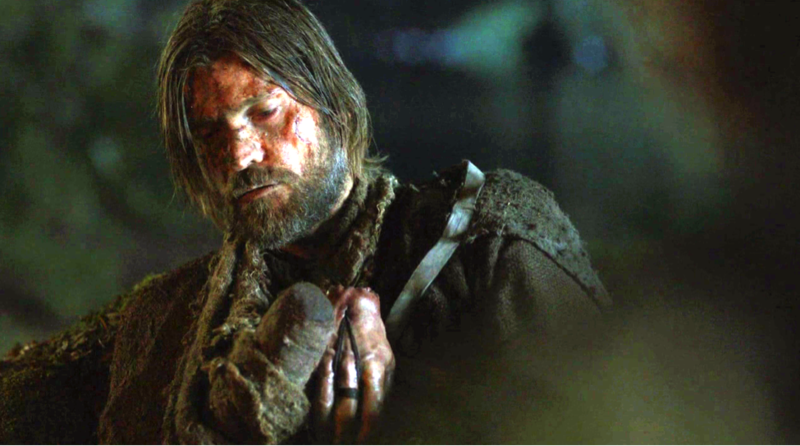 “The Good, the Also Good, and the, Like, One Thing That’s Not Good” of Game of Thrones Season 4! Long story short, we love this show. What jumped out at you this season? Why was Season 4 so damn good? Jeff: You know what Patches? You might as well just go back and read our Season 3 discussion. Combine skilled adaptation, assured direction, a mostly-pretty-great cast and the best book in the series and you get Game of Thrones Season 4 (and 3). I’ll try to speak in generalities for a little while here and then throw it back to you before we get into specific stories or moments. The character moments and pairings remain great, but different characters come to the fore than in seasons past. Tywin and Jaime take a bit of a back seat after a stellar Season 3, but the both still have some great scenes with Tyrion that reveal new depths of their enmity and love, respectively. Oberyn Martell was a wonderful addition whose every scene was better than the one previous. Brienne and Pod offer a nice odd couple pairing. Davos gets some brief chances to shine. Even some of the boring ol’ crew at the wall–and trusty Sam–get their moments of glory. For the final part of our Game of Thrones Season 3 analysis, we go back to the well for some more superlatives. If you haven’t read Part 1, Part 2, and Part 3 yet, here are the links. This time, though, there’s no theme. They’re all Reviewer’s Choice! Enjoy and thanks for reading! Ramin Djawadi: I have been a big fan of Ramin Djawadi’s work ever since his incredible soundtrack for EA’s 2010 Medal of Honor reboot. Although the Game of Thrones soundtracks aren’t at that level, the show’s main theme is the best theme song on television. It’s so good that I can’t watch an episode without watching the opening.